Introducing Child Psychology is for all those who want to find out what psychology can tell us about the nature and development of children. Assuming no prior knowledge, it is designed to suit students of psychology at school or university, those training to work with children in a variety of different professional roles, or general readers who are interested in what makes a child 'tick'. 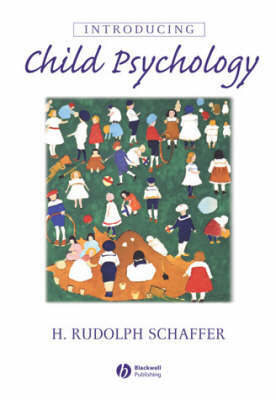 The book begins with an explanation of the aims and principles of child psychology as a scientific discipline, and describes the methods used to obtain knowledge about children. It then goes on to present the major topics of development that have been investigated by psychologists, paying particular attention to the most recent research findings. Throughout, psychological knowledge is consistently related to practical issues, showing what psychology has to offer in real-life situations involving children.